I hate to tell you this, but the holiday season is fast approaching. Christmas is 109 days away as I’m writing this post. Don’t get me wrong, I love the holidays, like 99% LOVE. But, man, the present buying and party planning can be overwhelming. 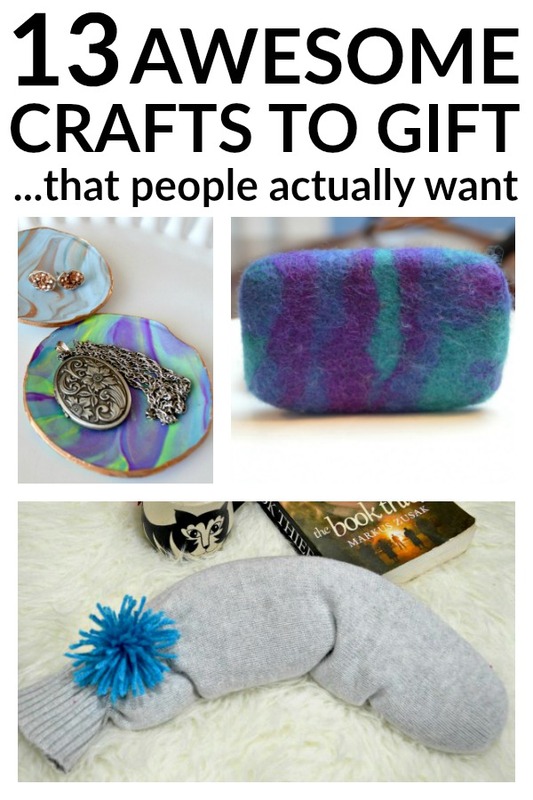 This year let’s get a jump on the gifts and be stand out gift givers by actually making some handmade presents. I’m not talking about crappy handmade gifts like Colorado Cowboy Bubble Bath. I’m talking about 13 awesome crafts to gift that people actually want to receive. 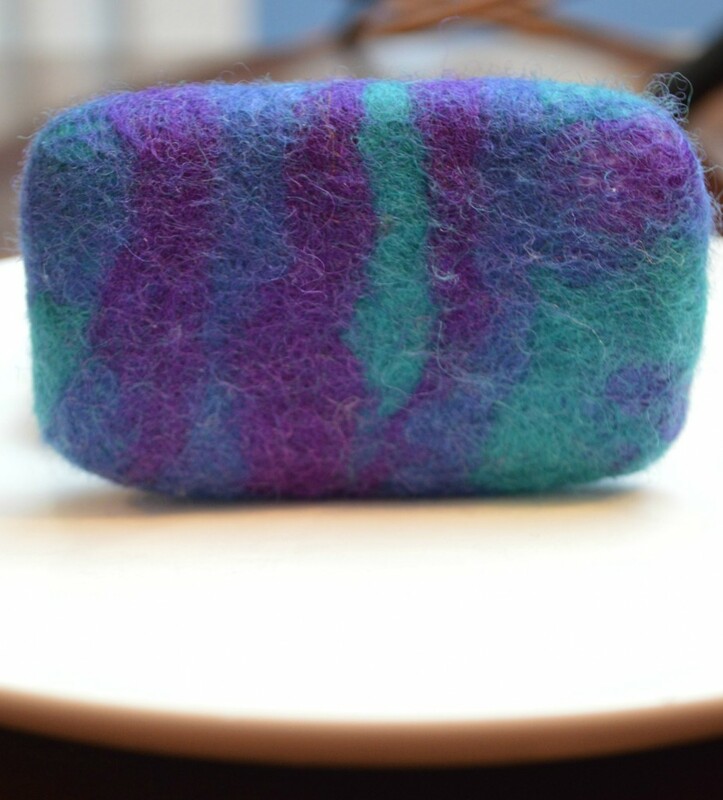 I am bound and determined to get everyone on the Felted Soap bandwagon. If you make one thing on this list, make felted soap. First of all, it’s incredibly simple to make and very inexpensive. You can get 36 different colors of the roving wool needed to make this soap from Amazon for $12.99 and that will make a boatload of bars of felted soap (don’t quote me on the “boatload”. I eyeballed it). And the rest of the supplies are a bar of soap and old pantyhose. If you were to buy ONE BAR of felted soap from Amazon, you would be spending about $15. For ONE BAR! But don’t just make it because it’s cheap and easy. Felted Soap is one of those things no one would probably ever buy for themselves, but if they received it as a gift, they would use it and love it. Wool is a natural exfoliator and has natural antibacterial qualities. It’s amazing to wash with and it does away with having to use a washcloth in the shower. Also, it’s not slippery like regular soap, so way less of precariously bending over in the shower. And then the giftee would probably ask you, where did you get this? And then you could say, OH, I made it… and smile primly and let them think that you are a genius and that you must really care so much because who has the time to make FELTED SOAP? In actuality it takes about 10 minutes to make a bar, btw. So, in short, if you want everyone to think you are a genius and a saint, make them some felted soap. The men in my life (what, my husband and brothers and dad, okay?) are probably the hardest people to buy for and are most definitely the hardest to make a gift for. 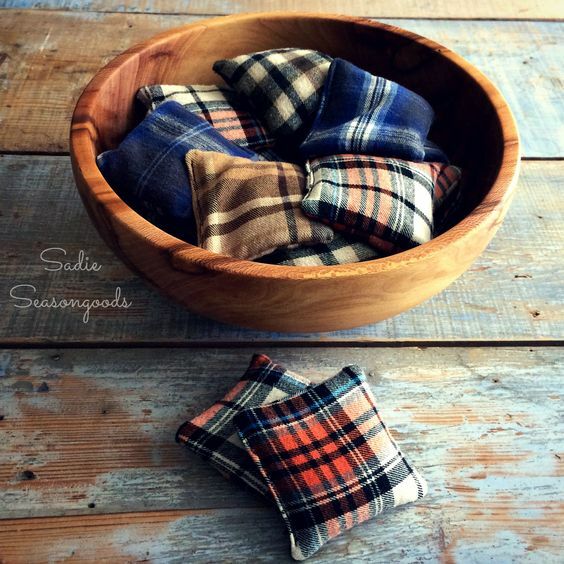 These Flannel Hand Warmers from Sadie Season Goods solve that dilemma. They are decidedly masculine and they keep your hands warm. Who could ask for more? 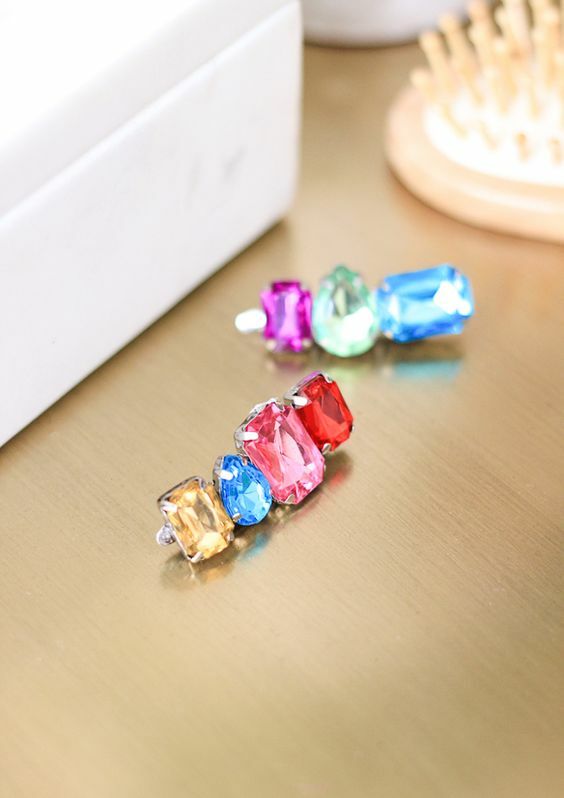 This beautiful DIY Rhinestone Hair Clip from The Crafted Life would be lovely for a tween girl in your life, but I can’t lie, I kind of want one for myself. So for the tween or tween at heart! 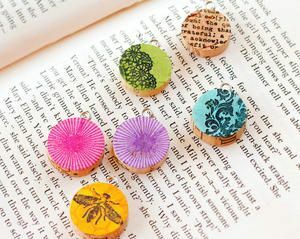 I have had these Wine Cork Pendants on my list of things I want to make since I think I started my Pinterest account 5 years ago. Sadly I don’t drink wine, or at least not wine that is fancy enough for a cork. If anyone wants to mail me their used wine corks, let me know. Who doesn’t want custom made jewelry? These are super simple to make and they are just funky enough to be cool but not too funky, know what I mean? 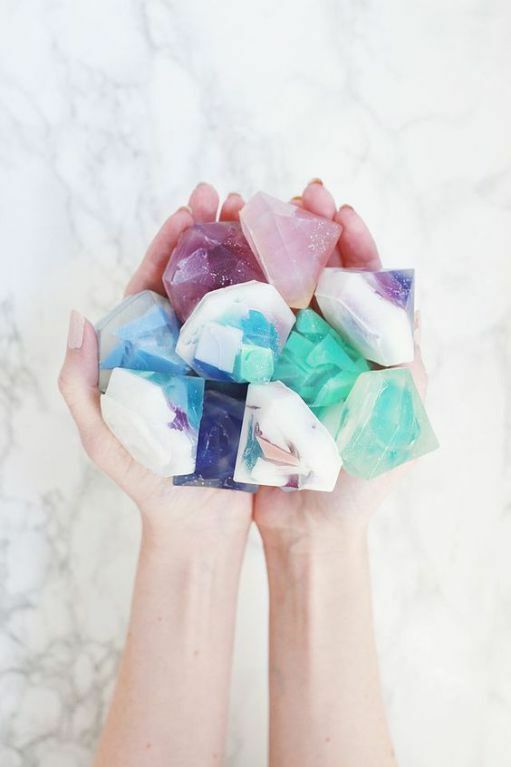 How gorgeous are these Gemstone Soaps?? It’s basically a functioning art piece for your bathroom. They are full of wow factor. I would totally gift these to my daughter’s favorite teacher. Only her favorite though. I actually made these as gifts last year and they were a huge hit. I made one for my mom as a stocking stuffer and my dad stole it so I had to make another one. 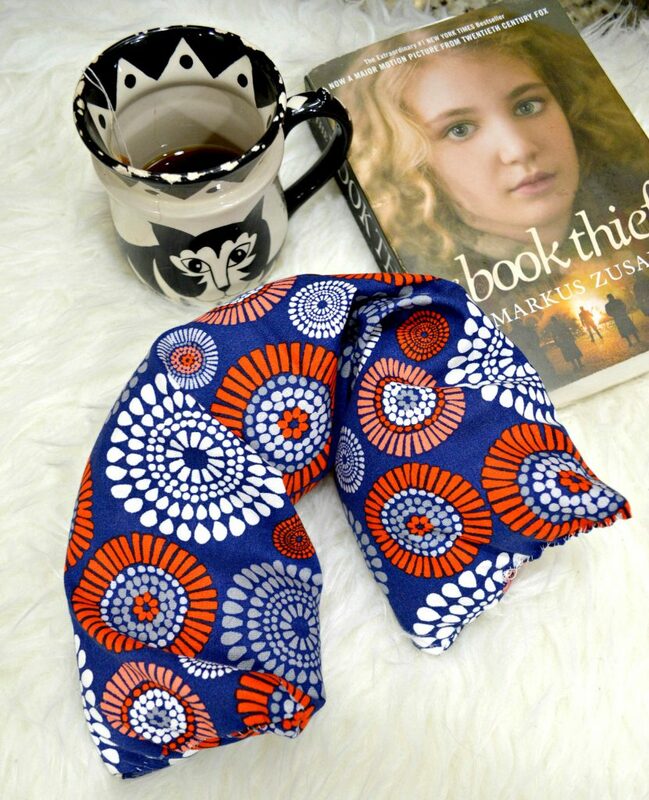 They are super simple to make with inexpensive fabric or even an old sweater and require very minimal sewing skills. If you can thread a needle, you can make this. Candles are always a great gift and a handmade one is even better. 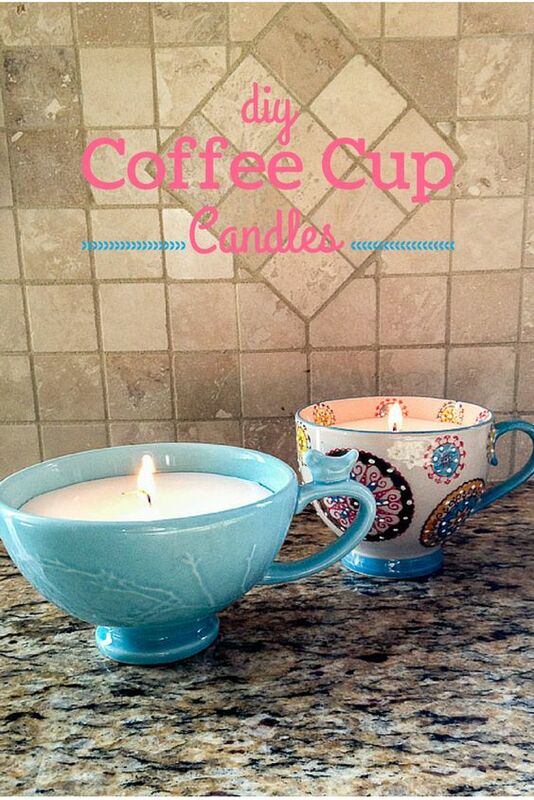 The bonus of these Coffee Cup Candles is that the cup can be used once the candle is gone as long as you use a biodegradable wax like soy. 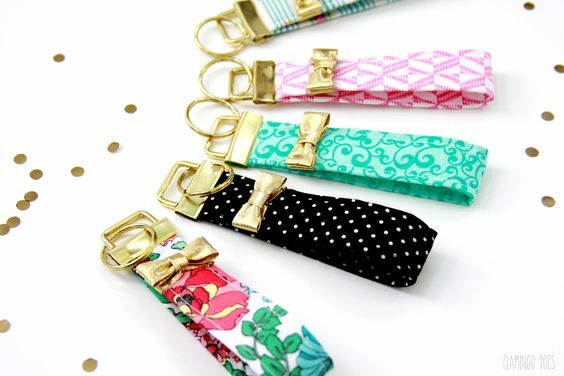 I love these adorable key fobs. These would be perfect for all of those people on your list that you want to give something to, but you don’t want to spend a ton of money, but you still want it to be special… Like the crossing guard, maybe your coffee shop lady. Also, maybe make a bunch and stick them in gift bags for that awkward moment when someone has a gift for you and you don’t have one for them. You’re welcome. 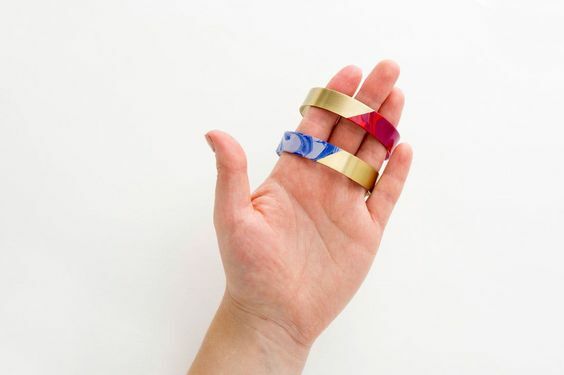 These are beautiful and useful, but do you know what the best part of this gift is? 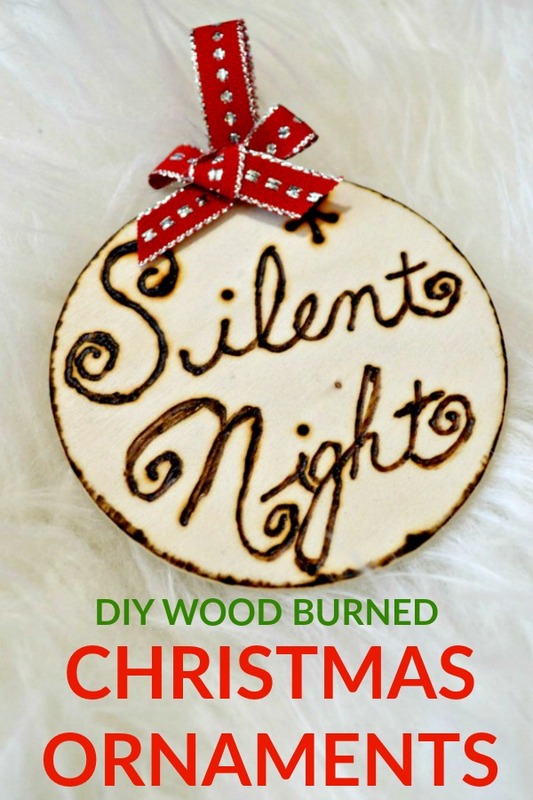 Burning wood smell in your kitchen while you’re making them. Wanna know how I know? See below. I love the idea of giving ornaments as Christmas presents. 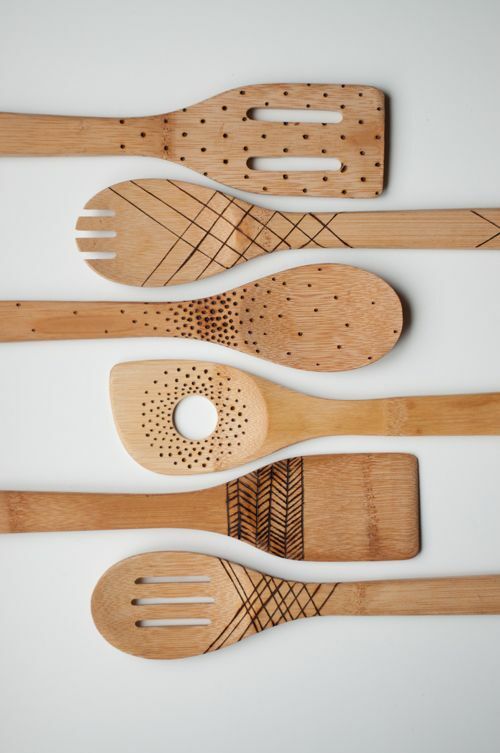 These wood burned ones could be used as a gift tag, too. You could use the back side as a to and from. And the smell of burning wood is possibly the most relaxing thing on earth. 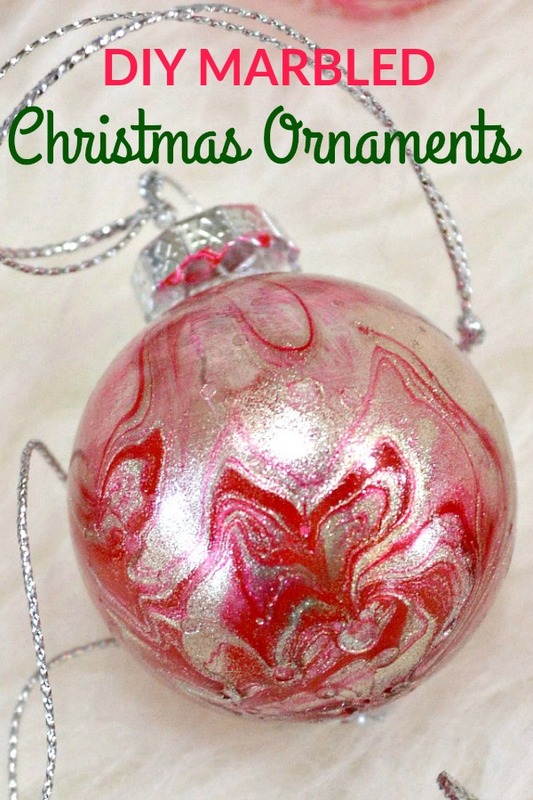 These marbled ornaments are really simple and fun to make. The plastic ornaments are pretty inexpensive and the only other supply needed is some nail polish in your choice of colors! These marbled clay dishes are perfect for holding small items like paper clips, earrings, loose change… I think they are a great gift for teachers or coworkers. Alright, start doing your carpal tunnel exercises! We’ve got craftin’ to do!